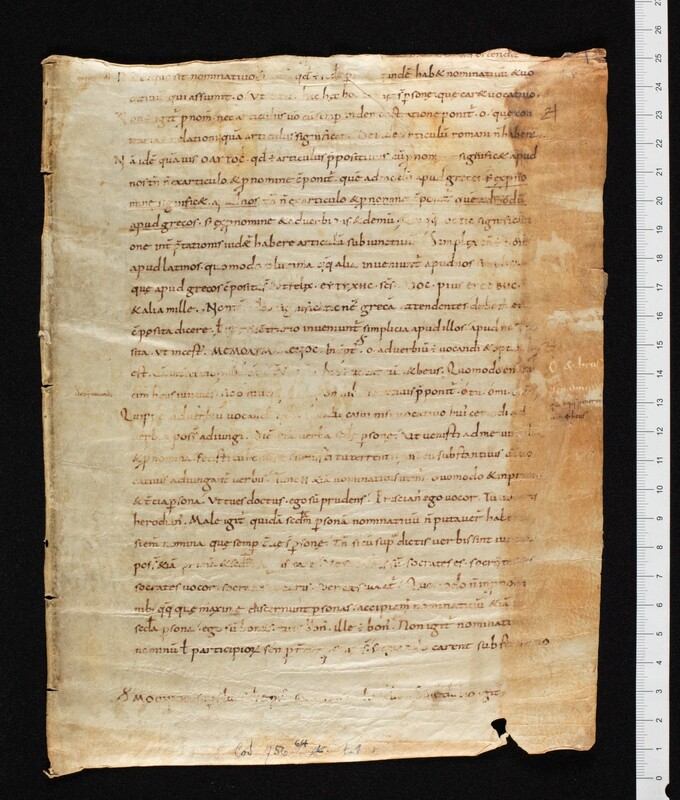 Fragment of a manuscript of the Institutiones grammaticae by Priscian, probably from the South of Germany; 12 more leaves from this manuscript can be found in Paris BN lat. 10403. f. 6–15. These four single leaves, inserted into a printed version owned by Jacques Bongars, came to Bern in 1632, where they were detached from their host volume in the 20th century. The User Register shows who is currently consulting or working or has been consulting or working with this document.